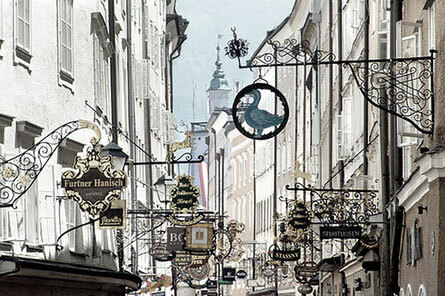 Set one foot outside the door and you're already right in the middle of what we call Salzburg's "Golden Mile". It used to be called the "Trabegasse"; we still use the expression "trabig" to mean busy. It's been there since the 11th century, the mother of all shopping streets. A couple of houses further down, on Getreidegasse 9, is the place where the greatest musical genius of all time was born, the "quill in the hand of God" (Nikolaus Hanoncourt). 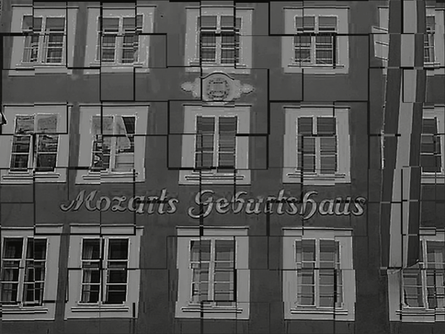 It's likely that Mozart visited our building: 18 letters refer to the inhabitants of the later "Däublhaus", named after Franz de Paula Däubl, a friend and colleague of Mozart at the Hofmusikkapelle (Court Music Orchestra). The facade of the Große Festspielhaus is right in front of us. It holds 2,300 people seated, and there are often several hundred more people gathered on, in front of and behind its huge stage. 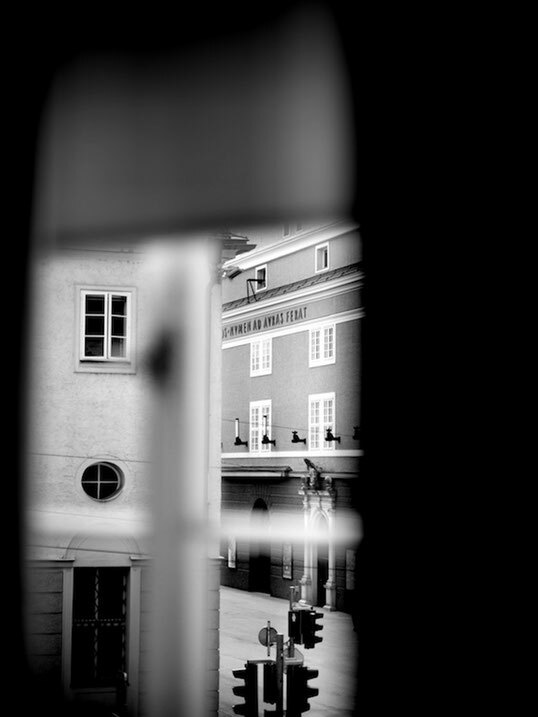 The Hofstallgasse is described as "the most beautiful interval foyer in the world". At the back of the building is the Festspielbezirk (Festival District). 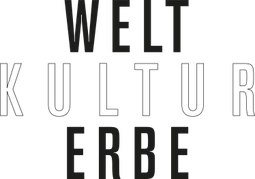 The horses belonging to the Archbishop's bodyguards were reared in the Pferdeschwemme (Horse Well) before being taken to the Hofmarstall (the current Große Festspielhaus) or to the Reitschule in Fels. The mighty face of the Mönchsberg towers right outside our windows. 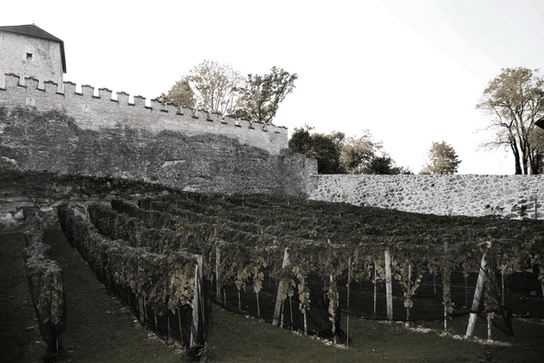 Seated at the top is the Fortress, the Museum of Modern Art and a secluded winery. In summer, cows graze on its meadows. A real paradise and local recreation area in the heart of the city. 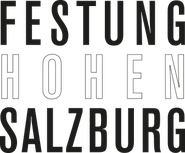 In the past a spot of respectable gambling used to go on here: Salzburg's gambling casino was located on the Mönchsberg until it found a new permanent home at Klessheim Castle. Today we say "Faites votre jeu!" ("place your bets!") to the international artists who exhibit their modern art here. The Mönchsberg lift to the Museum is also situated just a few metres from the Blaue Gans. Admission to the Museum is free to our guests. 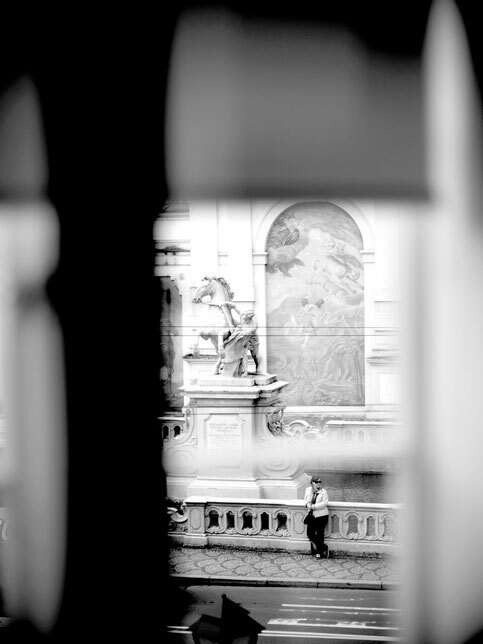 Enjoy the wonderful Museum restaurant with the best view in the city! You don't have to like Baroque garden architecture and its approach to Nature, but the Mirabell Gardens has something magical about it nonetheless. 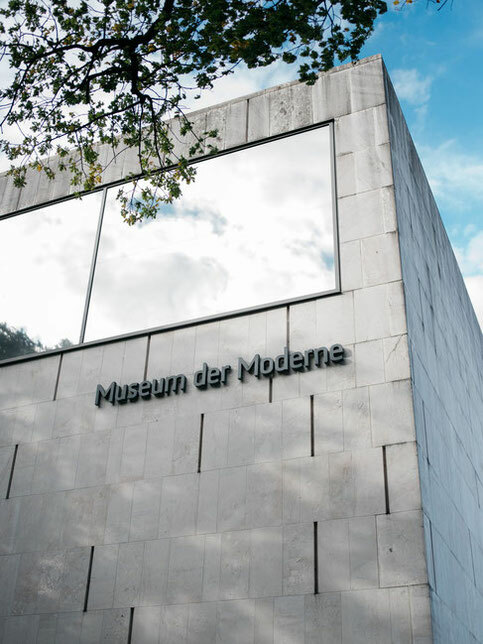 The modern neighbourhood surrounding it, featuring the Ropac Gallery and the newly built Mozarteum University Salzburg, makes for a pleasant contrast. 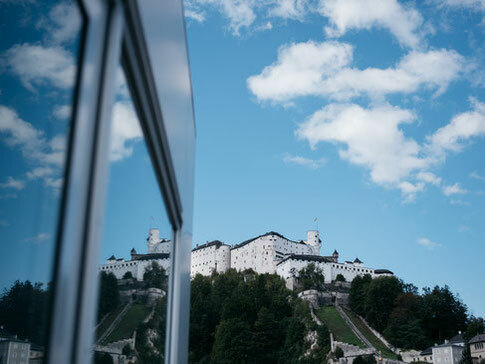 Perched like a crown above the city, the majestic fortress complex that is the largest of its kind in Central Europe. It was the favoured haven of the Archbishop - mostly from his own people. Surely at its most stunning on a rainy November day. 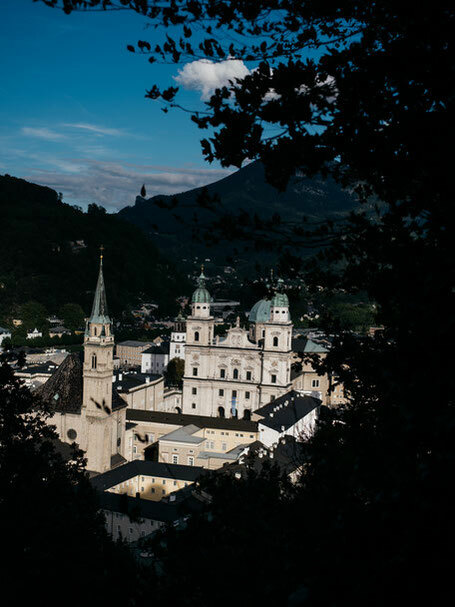 "The gift of God and human creation" - that was how Stefan Zweig described the essence of the city before fleeing Salzburg from the Nazis. An overwhelmingly beautiful ensemble of all manner of architectural styles set in charming rural surroundings. 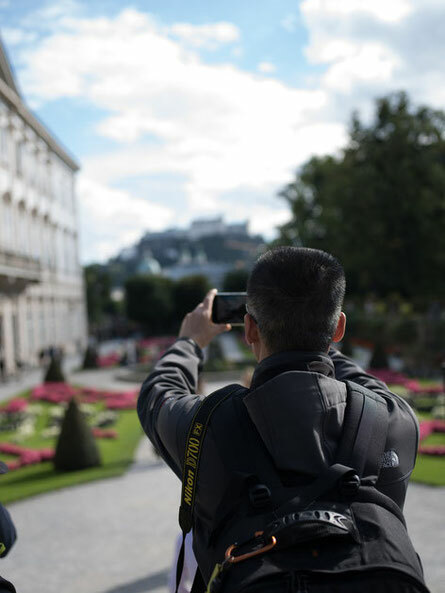 UNESCO thought so too: Salzburg's old town has been listed as a World Heritage Site since 1997 - and we're right at the heart of it.